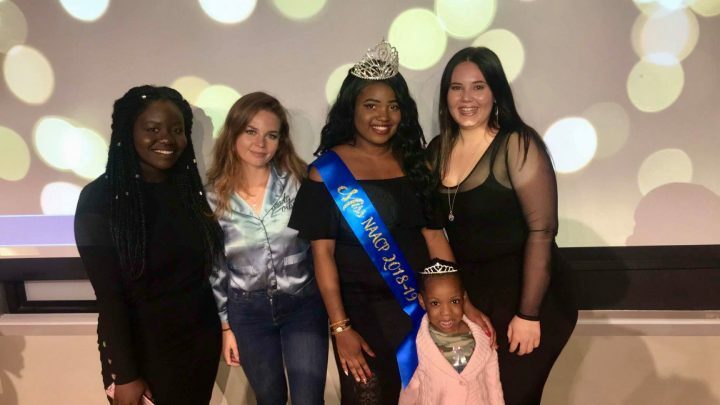 On Friday Oct. 5, the Bloomsburg’s NAACP club crowned Rebecca Jacob the first Bloomsburg Miss NAACP at their first annual NAACP pageant. The pageant had multiple rounds including typical pageant rounds where the girls wore evening gowns, but also had rounds where the girls would dress up as an inspirational black female from history and explain why they were so important. Here follows an interview with Jacobs after her victory. What is the NAACP to you? What will your role be as miss NAACP? How hard was the preparation for the pageant and what did you do to prepare? What was your favourite part of the pageant? Miss NAACP featuring her friends celebrating Rebecca’s victory.